Pariksith Singh, M.D. is board certified in Internal Medicine. Dr. Singh received his medical education at Sawai Man Singh Medical College in Rajasthan, India (where he was awarded honors in Internal Medicine and Physiology). Upon completion of his residency, Dr. Singh relocated to Florida and worked for several years before establishing Access Health Care, LLC in 2001. 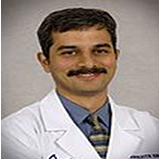 Dr. Pariksith Singh is also an owner of PrimeCare and serves as it's Medical Director. Dr. Singh also dedicates much of his time to philanthropic endeavors and is passionate about supporting the Wounded Warrior Project in Hernando County.